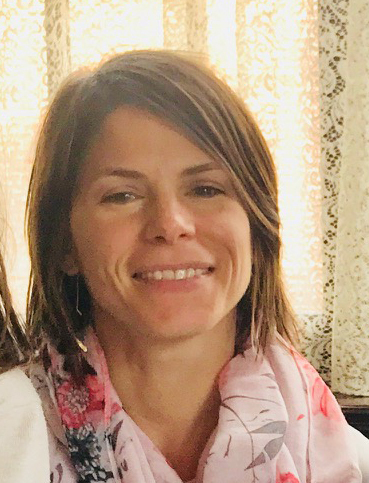 I have wanted to write this post for a long, long time… finally here it is! This post is dedicated to my mom and my buddy runner friend. I love integration systems. I think it is beautiful when 2 systems can talk to each other. It is practical, and for practicability if beautiful. One of the things I love about owning Apple gadgets is that you can synch an iPhone calendar with the one in your iPad and with your Mac Desktop/Mac Notebook. Before we get to the how-to I want to explain how this works. Let’s pretend you own an iPhone, iPad and a MacBook air. Now you want all that stuff to “talk to each other”. 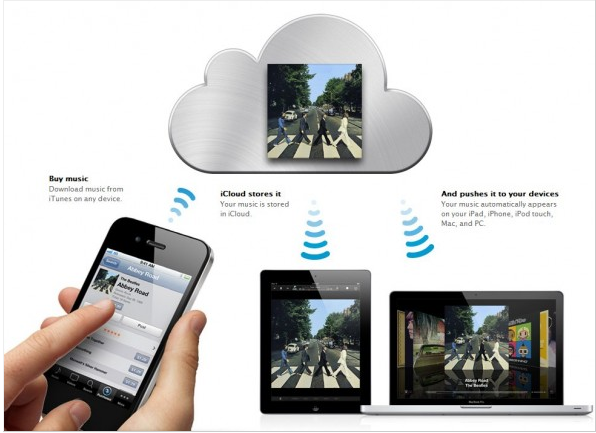 That is possible thru something called the iCloud. 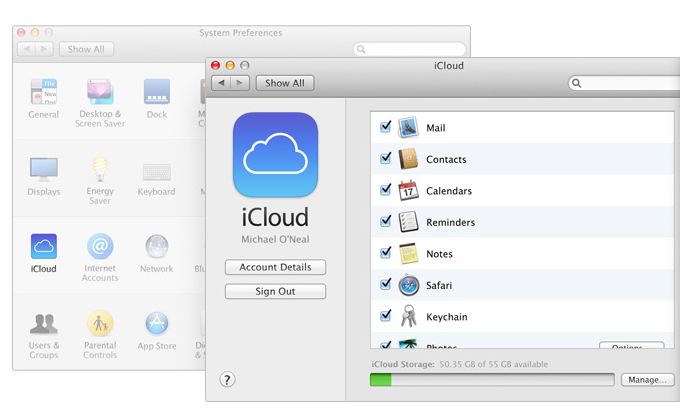 What is the iCloud? Imagine a little cloud on top of your roof with your name on it. Now, you are at Trader Joe’s and you meet a friend and while talking you realize your running schedule is crashing. You find a better time for it, grab your iPhone and change the activity. When you get home carrying all those bags and you still have to put it away, cook lunch, wait for kids, etc.. OH NO! You forgot to update your iPad and MacBook and now your husband rescheduled something at the same time.. Now what? With the iCloud that won’t happen… because when you get home carrying Trader Joes bags, your iPhone will recognize that you have now enter the WiFi of your house and start talking with the cloud that has your name on it… and tell that to your cloud “hey cloud, my run got rescheduled tell the others”. The cloud then, tells the iPad and MacBook your new running time within a second… and now your husband or anyone else that has access to those devices can see what is happening on that time. Isn’t that wonderful that something is being taken care for you, for once? Tap the Settings icon on the Home screen, select iCloud then enter your Apple ID. Turn on all the options bellow. Still in Settings, select the email account u want to synch. Turn on all the options bellow. On your Mac Laptop, choose system preferences from the Apple menu, click iCloud, enter the same apple id you did on the step above, select the same services you selected in the step above. Your iPhone’s Calendar app and iCal on your Mac now sync automatically via your iCloud account whenever a change is made on either device. Check the “Sync with This iPhone Over Wi-Fi” box in the iTunes “Summary” tab to allow your iPhone to sync with your Mac whenever it is connected to a power outlet and the same Wi-Fi network as your computer. 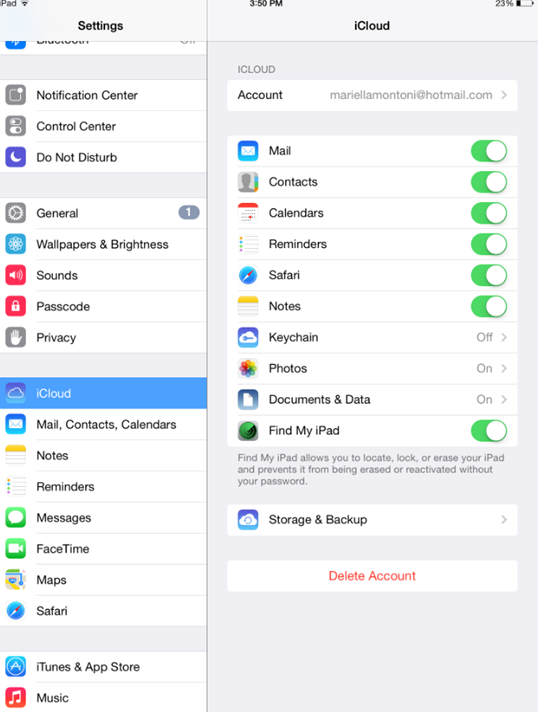 You can add more devices — such as other computers or an iPad — to the same iCloud account and sync your calendars across them all. 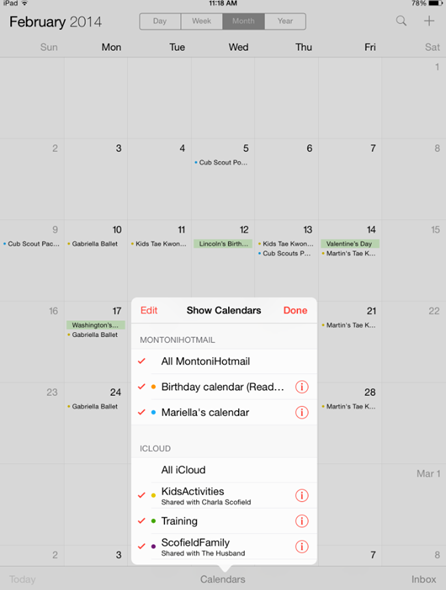 Step 3 – Add a new Calendar on your iCal. Account Type: Your email provider ex: Google, Hotmail, Optimum, etc. Email Address: Enter the email address that you use to log in to Calendar. Make sure to include the ‘@domain.com’ portion (which is @gmail.com for Gmail users, @hotmail.com for Hotmail users) in this section. Password: Enter the password for the email address you listed above. In the iPad, for example, when you go to the Calendar’s you will see you have the options to choose to display many calendars at the same time. The Hotmail one, associated to my email account, and the calendars I create in the iCal at my Mac. When I create an event in my iPad, iPhone or Mac, I can choose what calendar it belongs too and save. That will reflect in all my devices. The colors help to figure it out, if we are spending too much time in Kid’s activities or at Family time plus it makes it easy to read when you print the calendar. 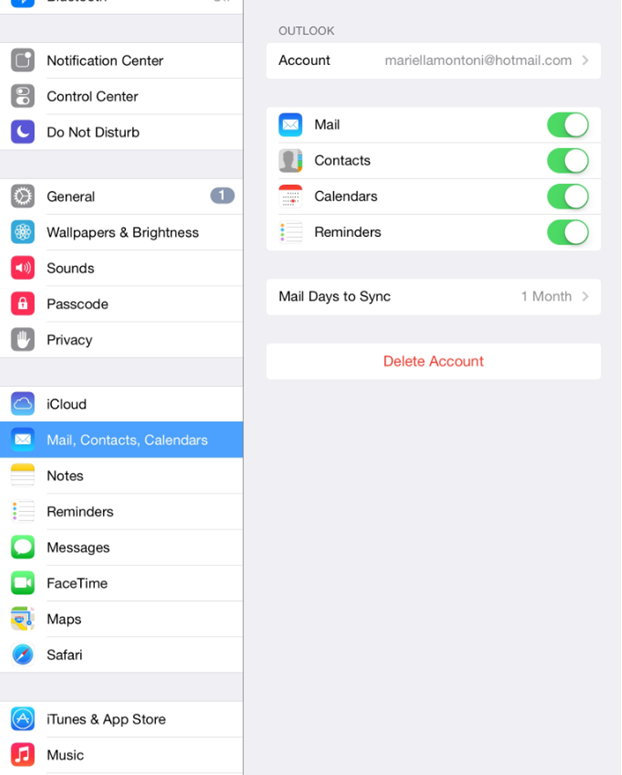 My husband can send me an invitation to my Hotmail email, I accept it, and then because I chose to synch my Hotmail calendars with iCloud I will see it in all my devices. *** NOTE: to add a Hotmail calendar in the Mac you need to add a link to the settings like this. The advantages of ALL this is you can check your family schedule from anywhere of the world, enter activities, synch with the other devices and share with your other half what is going on at real-time. No need to check things on a paper at your refrigerator kitchen. For the paper lovers, also you can still print the calendar from the MacBook’s iCal or Air Print with the other devices. Air Print will only work if your printer is wireless and it belongs to this list posted by Apple. Mine is not, so I can’t do Air Print. If you have any doubts your difficulties going thru these instructions, feel free to leave comments on this post and I will be more than happy to walk you thru.